This window was created to comply with the principles of the OPEN-GOV and open and participatory Administration on the one hand, and the implementation of the principle of access to information through the web sites of the administration and public enterprises. Click here to access the information. View the importance of the role of citizens and economic actors in the system of port and marine services, an important place was dedicated to the relations with the citizen giving him the ability to write e-mail messages intended for the Office of the relations with the citizen of the OMMP. Click here to contact the office of the relations with the citizen. 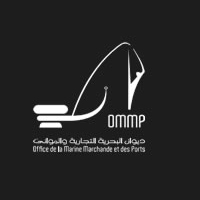 Finally, and in support of the Tunisian Government’s action in the field of the fight against corruption, the OMMP gives the opportunity to the citizens and economic actors to report cases of corruption within the port and marine services through the OMMP-anti-corruption window while preserving the anonymity of the informant. Click here to go to the OMMP anti-corruption.